ZYLIA Ambisonics Converter - ZYLIA PORTABLE RECORDING STUDIO. MULTI-TRACK MUSIC RECORDING WITH ONE MIC. 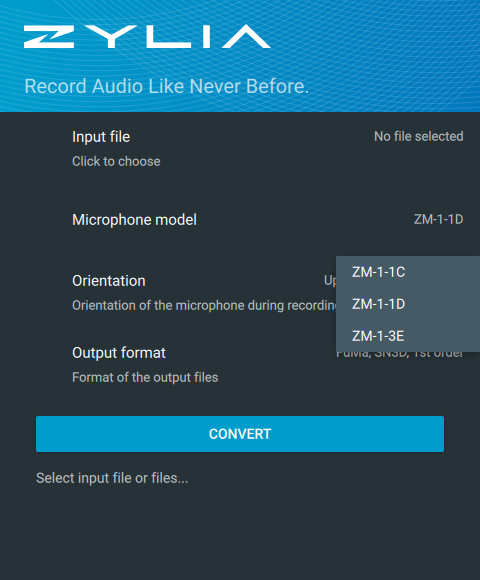 ZYLIA Ambisonics Converter converts the ZM-1 multi-channel recordings to Higher Order Ambisonics (HOA) and enables you to prepare 3D audio recordings for playback on the 'Facebook 360' and 'Youtube 360' platforms. ZYLIA Ambisonics Converter converts raw 19-channel recordings in WAV and WavPack format. You can select the correct microphone model. 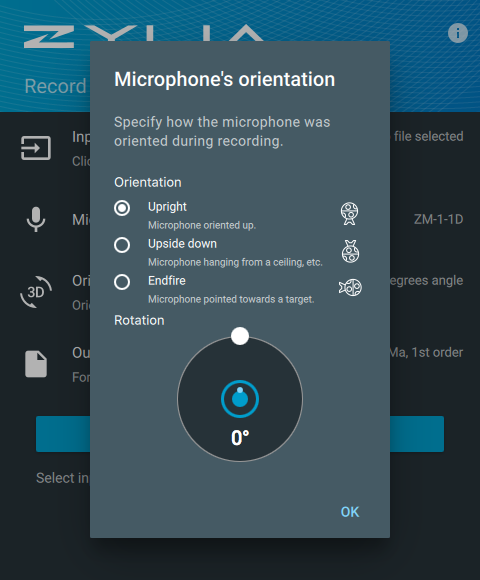 ZYLIA Ambisonics Converter enables you to perform conversion to Ambisonics format regardless of the orientation of the microphone during the recording. This gives you the freedom to e.g. mount it upside down below a 360 camera. 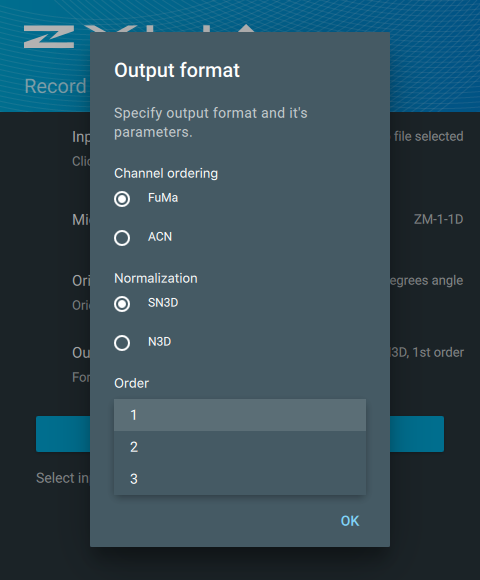 Output formats compatible with target media player or further processing chain.